I am of the generation that can’t let go of the notion of what my students call “physical media” – I still buy CDs. 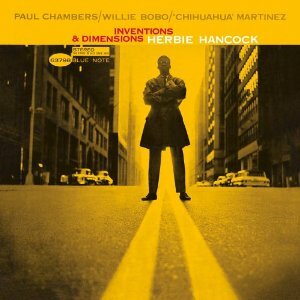 Consequently, when the Jazz Heritage Society (a sort of Book-of-the-Month club of jazz re-issues – a little dopey, but interesting) offered a number of Blue Note albums from the Rudy van Gelder edition at unusually low prices, I snapped them up, eager to fill in the gaps in my familiarity with some important material from the late 50’s and 60’s. Although jazz listeners more expert than I will already be familiar with these items, others may be interested in some very brief notes on my recent listening. 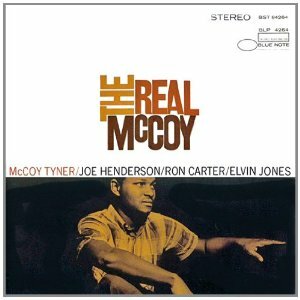 – The Real McCoy (McCoy Tyner, Joe Henderson, Ron Carter, Elvin Jones.) I don’t tend to think of him as a composer, but here is an entire album of attractive Tyner originals, including “Passion Dance” and other, less familiar material, ranging from the tricky rhythmic games of “Four by Five” to the more down-home “Blues on the Corner”. – Newk’s Time (Sonny Rollins, Wynton Kelly, Doug Watkin, Philly Joe Jones) High-energy work from Rollins and Jones dominates this session, to the point of playing “Surrey with the Fringe on Top” as a duet. I’ve written elsewhere (comments here) about the use of harmonically static tunes by players who customarily negotiate the rapid harmonic rhythm of bebop. Om addition to “Surrey”, the Johnny Mathis hit “Wonderful, Wonderful”, also on the present disc, is another piece with a relatively static A section. The other tunes here include Miles’s “Tune Up” and a rhythmically tricky Kenny Dorham piece, “Asiatic Raes”. 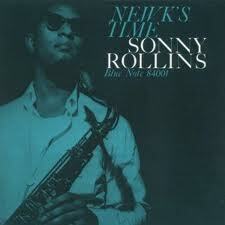 – Go (Dexter Gordon, Sonny Clark, Butch Warren, Billy Higgins) Interesting juxtaposition with Rollins. 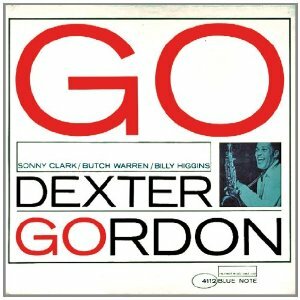 If the history of jazz saxophone divides into two streams – Coleman Hawkins and Lester Young – Rollins and Gordon are both on the Hawkins side of the spectrum, but on the basis of the discs listed here, Rollins’s work is more rough-hewn, Gordon’s more suave. Go feels very much like “Dexter Gordon and his band” – his colleagues are perfectly fine, but they don’t come forward as more or less equal voices the way Jones (especially Jones!) or Kelly do on Newk’s Time. Gordon’s disc is simply more conventional than Rollins’s. Both saxophonists have their quirky moments, and both enjoy playing some unexpected material – in the case of Gordon, the ’20s tune – originally a waltz – “It’s Three O’Clock in the Morning”. 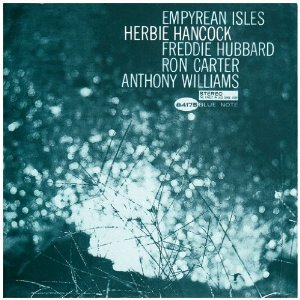 –Empyrean Isles (Herbie Hancock, piano; Freddie Hubbard, trumpet; Ron Carter, bass; Tony Williams, drums) Inventions and Dimensions (Herbie Hancock, piano; Paul Chambers, bass; Willie Bobo, drums, timbales; Osvaldo “Chihuahua” Martinez, percussion. Isles has some of the most satisfying playing on this whole list, with the classic tracks “One Finger Snap” and “Cantaloupe Island”. It also has the annoying “experimental” piece, “The Egg”, with some repeated figures that long outstay their welcome. Inventions is disappointing, with free playing that sounds more tentative than free. The re-issue liner notes speak of “avant-garde jazz that an Ahmad Jamal fan can love”, which does not strike me as high praise. 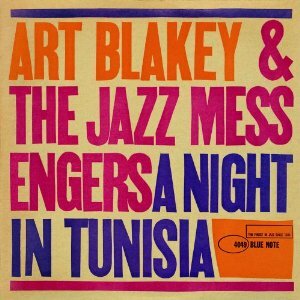 – A Night in Tunisia; Free for All (Art Blakey and the Jazz Messengers. 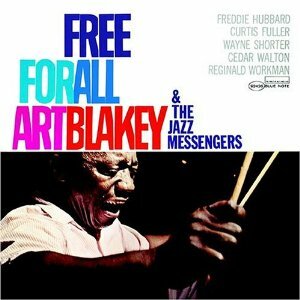 Tunisia: Lee Morgan, Wayne Shorter, Bobby Timmons, Jymie Merritt, Art Blakey; Free: Freddie Hubbard, Curtis Fuller, Wayne Shorter, Cedar Walton, Reggie Workman, Art Blakey) As a kid I always like Art Blakey’s work, perhaps partly because it was easy for a young fan to identify his sound – it made me feel like I knew something. Years later, the readily identifiable angle is still there, but the heavy-handed approach is not as appealing.The title track on Tunisia is in fact appalling, rather than appealing. It is so over the top in terms of speed and bombast that I found it painful. The booklet notes remark how this piece was a regular part of the Messengers’ repertoire, and this type of distortion, of pushing a piece toward extremes, can be the result of playing a piece night after night – fast songs get faster, loud songs get louder. It’s like a junkie who needs a bigger dose each time to get a satisfying high. Shorter’s playing on this track suggests he knows it isn’t worth the effort, while his colleagues tend to be enablers of their leader. The other tracks are more satisfying, as is the album Free for All, though again the percussive bombast is evident. The comparison with the excitement generated by Tony Williams’s more subtle art on Isles is telling. It is interesting to hear how Shorter’s work seems to be more closely related to Coltrane’s conception on these discs, rather than his own cooler and enigmatic approach. I enjoyed Curtis Fuller’s playing – why are there so few jazz trombonists these days? As always, I encourage readers who are mostly focused on notated music to explore these other rooms in the house of music.